Product Consist : Panda Jelly (Weight : 168 gms) With Cute Santa Cap. Wish to buy an awesome gift hamper with superb contents than check out this Christmas gift hamper of Giftacrossindia which is all set to surprise gifting. 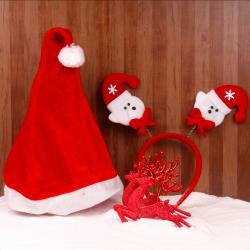 Surprise your dear ones with this very cute panda with Santa cap. Wait surprised is not end up here this panda is come with Delicious Mix Fruit Jelly Chocolates. This pandas Jelly chocolates comes with Christmas cap. This Red and white color cap is look like Santa Clause cap. 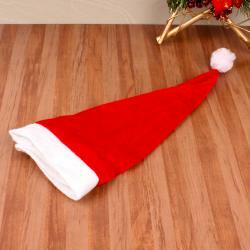 This Santa Cap is look so exclusive and unique for Christmas dress. 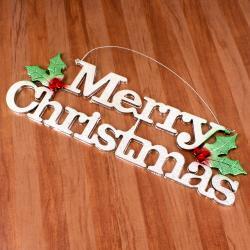 It is comes with free size so any one can wear it. Product Consists : Panda Jelly With Cute Santa Cap.